The press conference for the WiseGuys Promotions 29TH August “Lords of the Ring 2” pro boxing event will be held at The Square Pie (Old Spitalfields), purveyors of the finest pies in the East End of London. The event is a history books record breaker as 3 British born female boxers will appear in separate fights for the first time ever in a UK professional boxing ring. 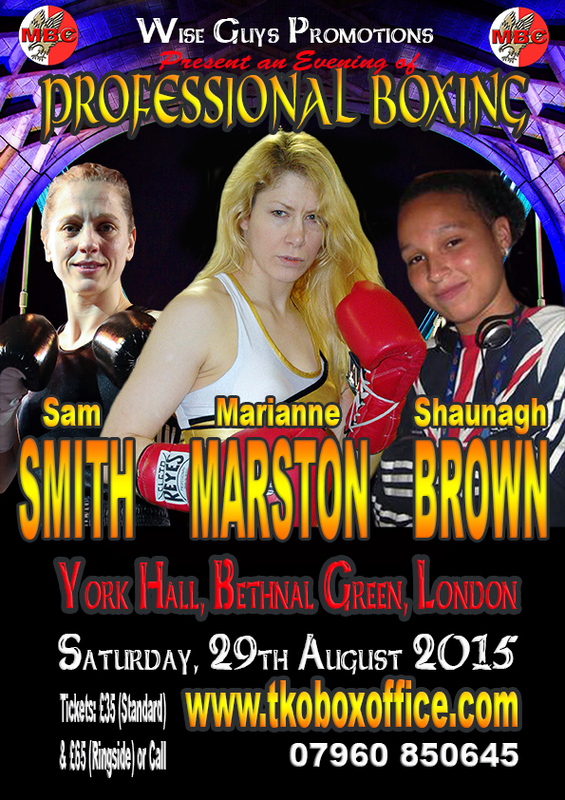 Marianne Marston – UK No 1 & MBC International Super Bantamweight Champion back in the pro ring and free from injury! Shaunagh Brown – Former team GB member at the last Commonwealth Games (shot put, discus, hammer) makes her pro boxing debut! Sam Smith – the very talented and undefeated lightweight from Leeds makes her London debut. The Mark Lyons and Billy James-Elliott Wise Guys promotions LORDS OF THE RING II event will take place at York Hall, Bethnal Green, London on Saturday 29th August 2015.